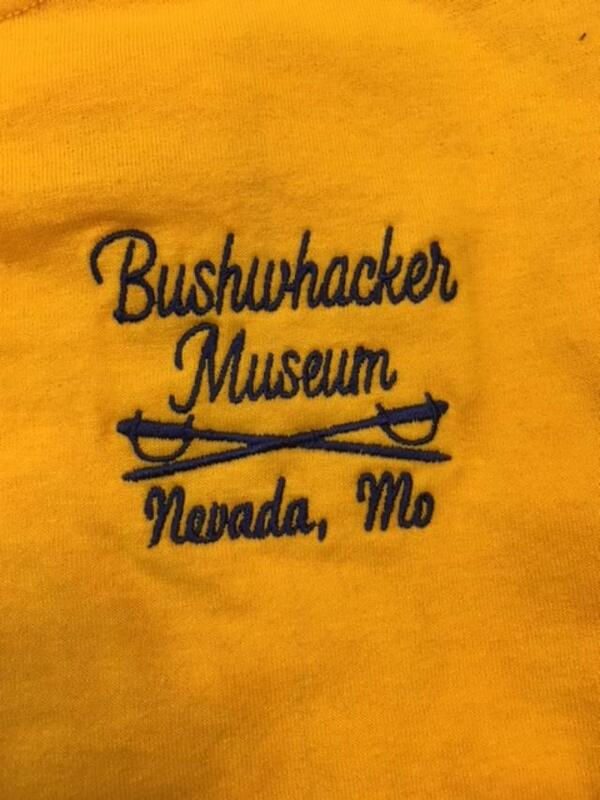 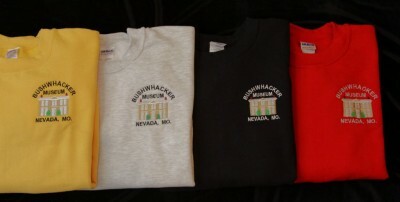 Bushwhacker Museum T-Shirts with logo embroidered on breast. 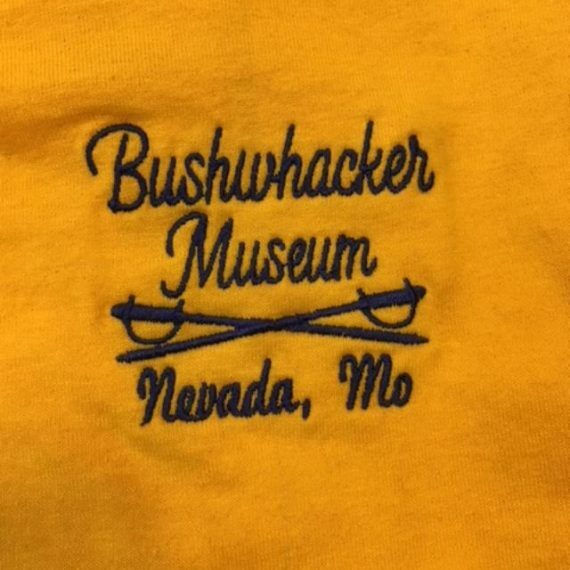 Hand-made necklace by Missouri artist Jan Porter. 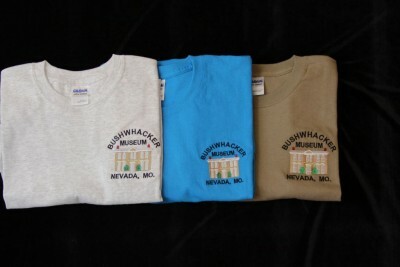 The stone is Mozarkite, the state rock of Missouri, and is wrapped in copper wire. 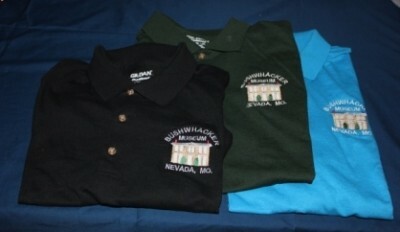 Bushwhacker Museum polo shirt with logo embroidered on breast.